Newspapers get most of the press when it comes to the disruption of the mainstream media industry, but magazines are also struggling to find a digital model that works. 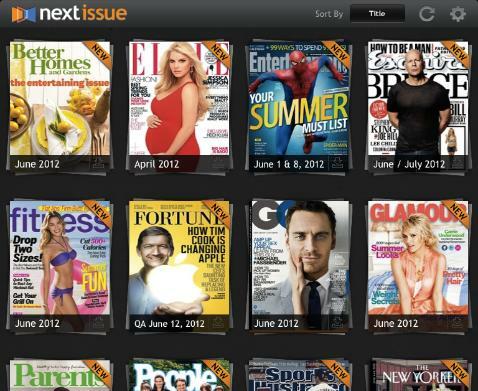 Next Issue Media believes it has the answer — a Netflix or Hulu-style newsstand with all-you-can-read access to dozens of popular magazine titles from Condé Nast and other providers, which just launched for the iPad (s AAPL). But as appealing as it might be for magazine junkies, one of the biggest risks for Next Issue is that its distribution model doesn’t really fit with the way growing numbers of people consume content. 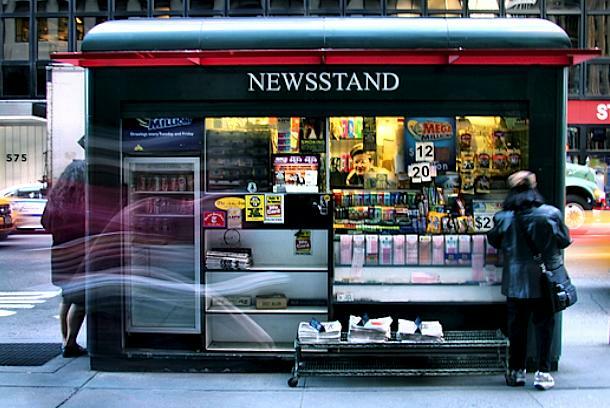 For them, the newsstand is already an anachronism. As my paidContent colleague Laura Hazard Owen has described in her post on the launch of Next Issue’s iPad app (the Android version launched a couple of months ago), the company’s digital newsstand mimics the look of a traditional real-world newsstand, with the faces of popular magazines such as Esquire and Sports Illustrated displayed on virtual racks, where readers can click through and read them as though they were leafing through a real printed copy. Subscribers can get access to all of the bi-weekly and monthly magazines for $9.99 a month, or they can pay $14.99 for all that as well as weekly titles like Time and the New Yorker. Do readers even want a digital newsstand? The idea behind Next Issue is that magazine readers will be attracted to a pay-once, read-many model in the same way that many users pay for a subscription to TV shows and movies via Netflix or Hulu. But will they? Undoubtedly some will. But will those who do it be enough to make a difference to the bottom line of the magazines that take part? That’s a much bigger question. Obviously, incremental revenue from subscription sales through Next Issue and their own apps is better than nothing, but it’s unlikely to have a big effect on the bottom line, in part because the way people consume content is changing. This trend, where users of services like Twitter and aggregators like Flipboard or Zite or Prismatic rely on their social graph and increasingly intelligent algorithms to find the content they want, just doesn’t fit with the model that Next Issue has in mind — where readers stand and look at the front covers of specific magazines and then drill down into one, then come back to the newsstand and choose another, and so on. The technical term for reproducing what a physical object like a newsstand or a magazine looks like on a digital platform is “skeuomorphism” — the same principle that designers use when they show a virtual page turning as you flip through a magazine on your tablet. As John Bethune pointed out in the context of news-aggregator Journatic and its recent fake-byline scandal, this approach makes things seem familiar in some ways, but it also restricts new forms of content. Another term for this is “paving cow paths,” and while it may make things easier in the short term, it can be risky in the long term. Next Issue isn’t the only one pursuing this kind of model: Robert Andrews at paidContent has written about a French distributor of digital magazines called Le Kiosk, whose app mimics a street vendor’s kiosk even more faithfully than Next Issue’s, since it is a actual three-dimensional model. The French service has over 600 titles from 120 publishers, and the company recently launched a UK version, although there is skepticism about whether it will catch on. One question for it and Next Issue: Will users want a cable-style offering that gives them many things they don’t want as well those they do want? If Next Issue were to pull individual articles out of its magazines and collect them based on popularity or some other algorithm — or made it easy for readers to share individual articles and other content outside the walled garden of the app itself — that might make it more appealing to those who have gotten used to a Flipboard-style model for consuming content. But it’s not clear that magazine publishers would be interested in doing that. For them, the game is about increasing circulation figures so they can try to keep their advertising revenues from bottoming out as print-based revenue continues to decline. The idea of a single newsstand where you can see all your favorite magazines is definitely going to attract some readers, especially those who want to come as close as possible to the stack of printed magazines they used to keep on their bedside table for browsing purposes. And it’s certainly appealing to publishers, since they get to try and recreate (or perpetuate) the print-based model and hopefully the advertising revenue that went along with it. But if your content-consumption behavior doesn’t lead you to stick to those kinds of well-worn cow paths, Next Issue probably isn’t even going to be on your radar. I’m still a magazine junkie. Although I consume plenty of articles on the web, you just don’t get the quality of writing as you do from a GQ, Esquire, Vanity Fair, SI, etc. feature piece(s) in many places online. At least not the ones I frequent. I jumped on this the second it was available for iPad. Seems like a money saver for me. I haven’t regularly read magazines other than Wired since I voraciously read video game and PC magazines as a kid. But I have recently been thinking about subscribing to several print titles, and taking the sub saving over newsstand, precisely to offset my overly-digital reading. I want to read less back-lit iPad in bed at night. I’m the person with that stack of printed magazines by the bed, and I don’t mind the lack of social features on Next Issue. For me a bigger problem is that a lot of the magazines available aren’t ones I really care about (like People StyleWatch, Self…) I’d flip through them at the dentist, but as you mentioned in your cable analogy, I don’t necessarily care about getting them as part of a paid package. Nice pieces from both of you, Laura and Mathew. If Laura’s figures from her own subscriptions are indicative, then mags could stand to lose about 1/3 of revenue from such subscriptions in subscribers’ conversions to Next Issue. Is that not a problem because all the magazines are interested in is circulation numbers (as in numbers of subscribers) for advertisers? Or are new customers to Next Issue (meaning current non-subscribers to mags) expected to take up the slack? Thanks, Porter — I think the magazines that are taking part are probably hoping for a combination of those things: namely, that it doesn’t cannibalize their revenues too much, and they get some new readers through the platform. I’m not sure they are right about either of those things, but I think that’s the bet. Thanks for the comment. Thanks for your opinion, but I love magazines because of the brand, the fact that they select for me interesting articles but also because it’s fun ! Great initiatives !